Together we make our strength work. You are never alone as long as you are part of a Union. 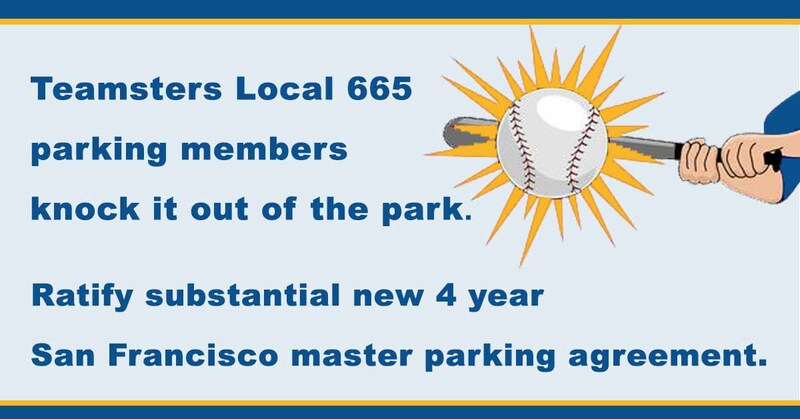 As a Teamster Local 665 member, you pool your individual strength with the muscle of more than 1.5 million members nationally to provide better wages, better benefits, better working conditions and job protection! Our message to you is that you are never alone as long as you are part of a union organization. As a member, you pool your individual strength with the muscle of great numbers of union men and women who belong to the world’s greatest union! Together we make our strength work for us on the economic front, in health and security, in supporting each other in collective bargaining, in making our votes count at the ballot box and our voices heard in legislative halls. You are never alone! We are a proud part of the 1.5 million-member Teamsters Union – the largest and strongest in the free world. We are an important segment of the more than 70,000 Teamsters Union members in the San Francisco Bay Area who are working for a better tomorrow for our families and ourselves. Because we are part of the American Labor movement, we know that organized union members receive job protection, wages, fringe benefits, safety and health protection superior to any non-union workers! 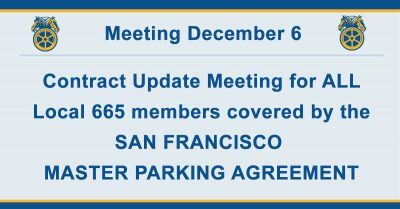 We in Local 665 also know that union membership adds dignity, strength and the well being that comes from being part of the vast Teamster Family. 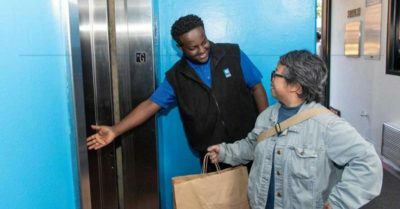 Most people think of Teamsters as being concerned only with delivery drivers. We know that Teamster membership includes men and women in an amazing variety of occupations. In our case, we park the cars, get rental cars ready for the road, are cashiers, work in car dealers, drive the school bus, tow cars, panel delivery, shuttle buses, tour buses, parts delivery, auto transport, taxicab, pump gas and safety-check mechanic work, clean and polish, parts counter person, retail stores, dispatchers, tire shop person, salesmen, gardener, too! & dye makers, construction, tire-men, day care workers, technician program seller, truck leasing, journeyman parts, body shop, retread service, route coordinator, baggage handlers, para-transit driver. The list of our members work is long and varied. 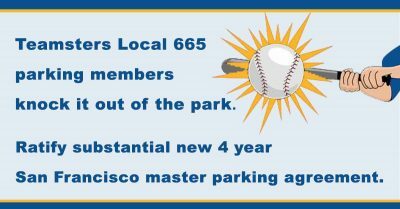 The most important task of Local 665 is to serve and protect wages, fringe benefits, job security and to help in times of stress. To organize the non-union members of our industry so we can all stand together to pool our strength in collective bargaining. 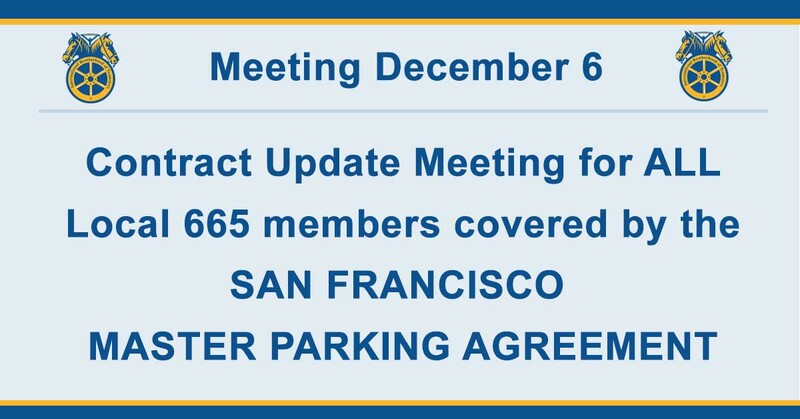 Local 665, as part of the larger Teamsters Joint Council 7 in Northern California, has been developing a coordinated program to make us stronger. Earning a fair living wage is a cornerstone of any Union supported job. It is always our goal to improve the financial compensation of our members. The health, wellness, time off and retirement benefits are important employment components and significantly contribute to a members overall job satisfaction. Health and safety, security and working hours are fundamental issues that should always be addressed in any work environment. Know your rights. Teamsters Local 665 has legal and administrative professions to fight for your rights if you are a victim of wrongful termination or worker exploitation. Every day Teamster Local 665 administrators, agents and employees are working with members, benefits coordinators, lawyers and other professional resources to service our members! Read below some of the everyday events and activities that support our members and these goals.